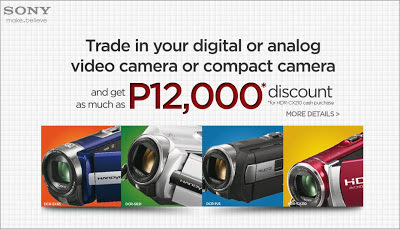 You can trade in your digital or analog video camera or compact camera and save as much as Php 12,000 for the HDR-CX210 through the Sony Handycam Trade-in Promo. This promo has been extended from November 9 - 30, 2012! I’m posting this ad just for the sake of sharing. I gain no commission whatsoever. I received an email about it since I’m subscribed to Sony Philippines’ updates upon registering to receive email support for a specific product. Going back to the promo, it runs from October 19 to 27, 2012. 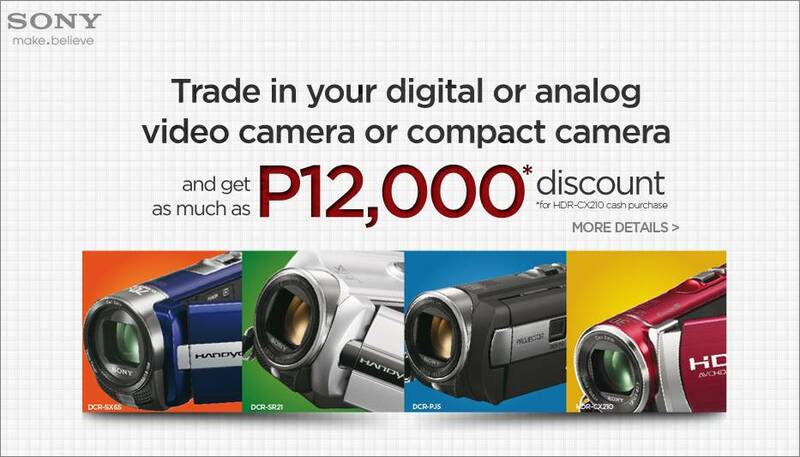 You will find more details including drop off points, handycam models for trade in, and participating outlets through this page – Sony Handycam Trade-in Promo.